For those who are arriving in Seoul through Gimpo International Airport from Jeju or other airports in South Korea or in the region, you can take the express shuttle bus 6021 service from Gimpo Airport to Myeongdong. If you are arriving at Gimpo Airport on domestic flights within South Korea, you can get onto Limousine Bus 6021 at Bus Stop No. 4 after walking across the road from Gate 6 outside the airport terminal building (see the Gimpo Airport map above). 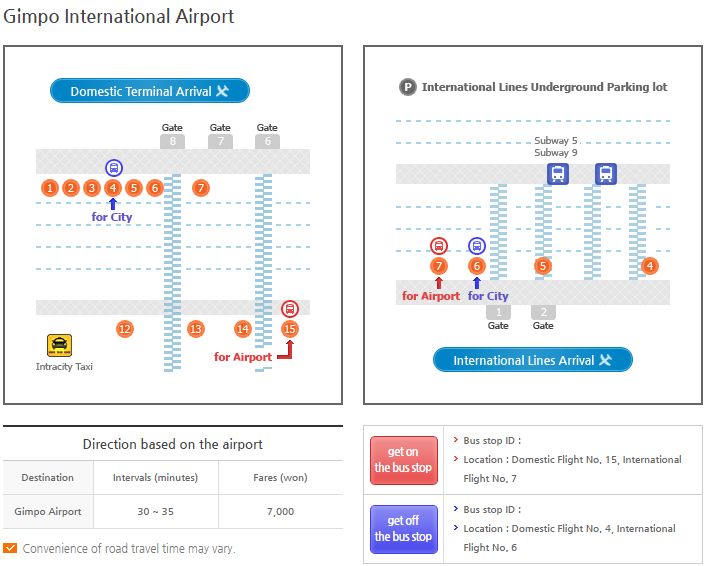 On the other hand, if you arrive at Gimpo Aiport on international flights, then it would nearer to wait for Limousine Bus 6021 to Myeongdong at Bus Stop 6 which is outside Gate 1 (refer to the Gimpo International Airport map above). The 6021 bus ticket fare from Gimpo International Airport to Myeongdong is KRW7,000 one way per passenger. The ticket can be purchase at the arrival hall of Gimpo International Airport before boarding the bus. Of course, this fare is more expensive than train ticket fare of 1,650won per person if you take train from Gimpo to Seoul Station and then change line to Seoul Subway Line 4 at Seoul Station to go to Myeongdong Station. Having said that, taking bus is still the most convenient way if you are have big baggages with you because you don't have to drag it along to the train station or carry them when changing train line at Seoul Station. Limousine Bus 6021 start operating from Gimpo International Airport with first bus departing at 5:00am early in the morning. The last bus to Myeongdong will depart Gimpo Airport at 11:10pm at night. For those who arrive near mid night, you might have to consider taking train or taxi. The last train from Gimpo will depart at mid night which is still in time for your catch the Line 4 subway train to Myeongdong at 12.45am after mid night. The bus journey time is about 50 minutes from Gimpo Airport to Myeongdong. Of course this may be affected traffic jam but generally it would not be longer than an hour. For your information, bus 6021 departs from Gimpo International Airport normally about every 30 to 35 minutes during working hours. So you do not have to worry about missing the bus because the longest you have to wait for another airport shuttle bus to arrive is only 30-35 minutes. However, during early morning, late night or weekend, the waiting time might be slightly longer. 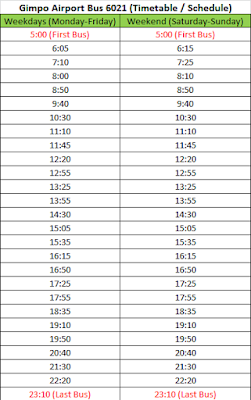 You can refer to the timetable for Bus 6021 departure from Gimpo Airport below for the exact time. Normally, the bus will come on time. 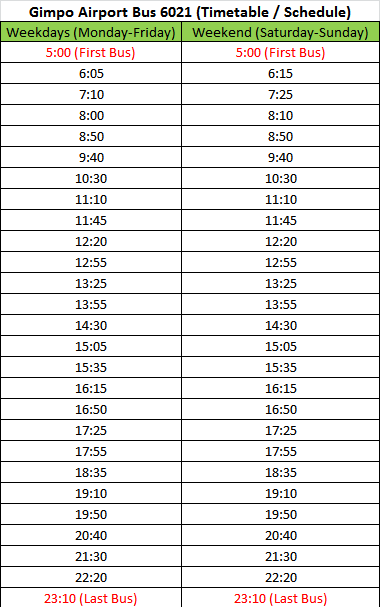 Timetable for Bus 6021 Departure from Gimpo Airport. Bus trip to Myeongdong will take about 50 minutes. Where are the Bus Stops in Myeongdong for Bus 6021 from Gimpo Airport? The best thing about taking Airport Limousine Bus 6021 from Gimpo to Myeongdong is that each bus stop name is announced in four languages, including English, Korean, Chinese (Mandarin) and Japanese. Therefore, you will not miss the bus stop you intend to get off the bus even if it is your first time to Myeongdong Seoul. After stopping at Seoul Station and Namdaemoon Market, bus 6021 will make the first stop in Myeongdong area at Hotel Ibis Ambassador Myeongdong Station. This bus stop is located right in front of the Ibis Ambassador Myeongdong hotel and opposite Lotte Departmental Store. It is also near EXIT 6 of Euljiro Subway Station. The Bus Stop is also known as Ibis Myeongdong in short. The next stop in Myeongdong area for Limousine Bus 6021 is Royal Hotel Station (Tiffany Entrance). If you are staying at Hotel Skypark Central or Ekonomy Central Myeongdong Hotel, you can also get off the bus here. The toegyero 3 Hanok Village (Mark Hotel T) Bus Stop. The last station for Bus 6021 from Gimpo Airport is Myeongdong Station. 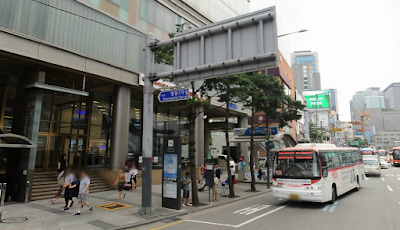 This bus stop is located near EXIT 8 of Myeongdong Subway Station. If you stay at hotels near Myeongdong Subway Station such as Prince Hotel, Ninetree Hotel, Skypark Myeongdong III Hotel, L7 Myeongdong by Lotte, Sejong Hotel or Loisir Myeongdong, you should get off bus 6021 at this station. Note that bus 6015 from Incheon International Airport also stops at Myeongdong station. Gimpo Airport Bus 6015 Bus Stop - Myeongdong Station (in front of Ninetree Hotel, Hotel L7 Myeongdong by Lotte and Hotel Skypark Myeongdong III and opposite Prince Hotel. If you are planning to take a bus from Myeongdong to Gimpo International Airport for a flight from to Jeju Island or other destinations inside or outside Korea, you can take the same Airport Limousine Bus, which is Bus 6021 from Myeongdong to Gimpo Airport. The bus ticket fare is the same, which is KRW7,000 per passenger. For the 6021 bus trip from Myeongdong to Gimpo Airport, the first bus will depart from Ibis Ambassador Myeongdong Hotel bus stop at 5.45am every morning while the last bus will depart from this bus stop at 8:40pm in the evening. For departure from Myeongdong Station bus stop, the first bus will depart at 6.05am in the morning while the last bus will depart from this bus stop at 9.05pm in the evening. The trip to Gimpo Airport is also approximately 50 minutes. However, if you are taking the bus 6021 to Gimpo Airport, it is advisable that you allocate extra one hour time to cater for unexpected event such as missing the bus or any other emergency. Apart from taking the Airport Shuttle bus (known as Airport Limousine Bus in Korea) 6021 to get to Myeongdong from Gimpo, you can also use the train and subway service. The ticket cost is cheaper and the trip time can be slightly shorter than bus 6021 too. However, you will need to walk a bit when changing train at Seoul Station (more on this in the next post), which can be less convenient if you have heavy baggages. Therefore, just like taking bus 6015 from Incheon Airport, taking bus 6021 from Gimpo International Airport to Myeongdong is still the best option to many tourists, especially if they are staying at hotels near bus 6021 bus stops in Myeongdong. If stay at Solaria hotel near, is it alight at Myeondong station as well? Yes Michelle Eng, For Solaria Hotel, you can alight bus 6021 at Myeongdong Station as well. The detailed location map is available at https : / / nnr-h . com / solaria / seoul / english /. Wish you a pleasant bus trip from Gimpo to Myeongdong. which station should i alight at? hi yanjing, if you stay at K-Guesthouse Myeongdong 3, you can also alight bus 6021 at Myeongdong Statoin bus stop. Hi, where should I alight if I were to stay at either StayB Hotel Hotel or Staz Hotel? Appreciate your advice in advance. For Stay B Hotel, you can alight at Chungmuro Station. For Staz Hotel 1, you can alight bus 6021 at Uljiro 2(Pine Avenue). If you stay at Staz Hotel 2, you can alight the bus 6021 at Chungmuro Station too. Hi! if I'm staying at Skypark 1, should i alight at Myeongdong station too? And is there a difference in travel duration for bus 6015 and bus 6021? Im just quite confused between the 2 bus. I will be arriving at Gimpo Airport. Since you arrive at Gimpo Airport, you should take bus 6021 (not 6015 which departs from Incheon Airport). For Skypark 1 hotel, alight at Myeongdong Station. Walk into the alley and turn left at the first junction, continue walking until you see Skypark 1 hotel. Enjoy your stay at Myeongdong! Yes, for Bus 6021 to Myeongdong, you can take the bus at bus stop 15 at domestic terminal (red color is for get on the bus). You can check with Gimpo Airport information counter if you are not sure which one. Enjoy your trip to Jeju and Myeongdong! Jung-gu, Seoul 100-271 from Gimpo airport. would it be cheaper to take the bus or just take a taxi. If bus is cheaper where should we get off? Thank you!!! I believe bus is still cheaper than taxi. Taxi in Seoul usually only take 4 people. If you take Bus 6021 from Gimpo Airport, you can get off at bus stop "The toegyero 3 Hanok Village (Mark Hotel T)". The address you gave is near this bus stop. Hello. If i buy the ticket to myeong dong at gimpo airport, can i also get my return ticket at gimpo? My return flight is at incheon instead of gimpo. Thanks! There is no need to buy your return ticket at Gimpo Airport. You can pay to buy ticket when you get on the bus (6015 or 6001) at Myeongdong Station to go to Incheon Airport. (1) I like to know which bus stop do I get off from bus 6021 from Gimpo airport. I will be staying at K-guesthouse Myeongdong 2. For K-guesthouse Myeongdong 2, you can get off bus 6021 from Gimpo Airport at Myeongdong Station bus stop too. At this same bus stop, you can catch bus 6015 from Myeongdong to Incheon Airport too. I was thinking about going to Gimpo Airport with Limousine bus from Myeongdong, but since the hotel I'm staying at is closer to Hoeyeon Station, so I was wondering if there was a better stop than Sejong Hotel. Yes, you can take bus 6021 to Gimpo Airport at "Namdaemun Market" bus stop which is near to Hoehyeon Station. Hi. We will be staying at Seoul Myeongdong Stay. Is that near to any bus stop of bus 6021 going to Gimpo Airport? Thank you. Yes, you can take bus 6021 at Myeongdong Station bus stop to go to Gimpo Airport. Seoul Myeongdong Stay is about 250 meters from this bus stop. If you want to stay near to Myeongdong Station bus stop, you may choose Prince Hotel, Ninetree Hotel, Skypark Myeongdong III Hotel, L7 Myeongdong by Lotte, Sejong Hotel or Loisir Myeongdong. These hotels are just steps away from Myeondgong Station. Hi, I stay at K- Grand Hostel Myeongdong, address: 3F,21-7 Myeongdong 8-gil, Jung-gu. where should I stop? 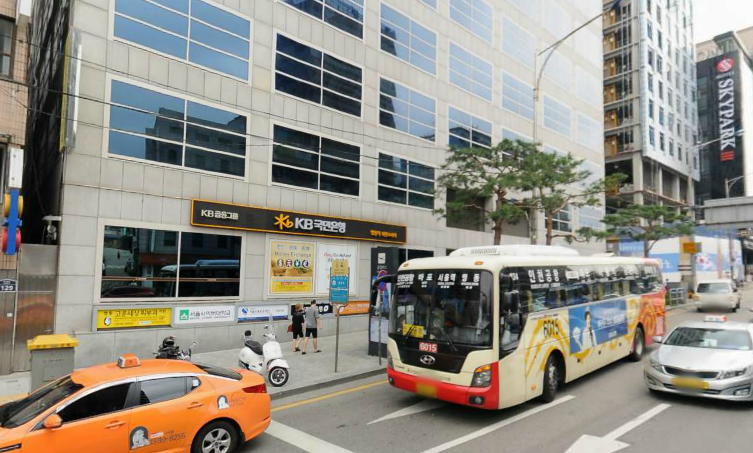 For K-Grand Hostel Myeongdong, you can get off the bus at "Myeongdong Station" bus stop too. I believe they have a walking map from the bus stop to the hotel on their Facebook page. Enjoy your stay in Myeongdong. I'll be staying at the new Tmark Grand Hotel Myeongdong. Could you kindly advise the options I have to travel to Gimpo Airport please? Thank you! You can take bus 6021 from Namdaemun Market bus stop near TMark Grand Hotel Myeongdong to go to Gimpo. The hotel front desk should be able to give you clear direction to this bus stop nearby. Hi.. May I know how far from the bus stop Royal Hotel Station to SkyPark central hotel? Skypark Central Myeongdong is only about 200-300 meters from Royal Hotel Station bus stop. Thx.. How about Royal Hotel? The airport shuttle stop is exactly outside the hotel? Sorry I have another question.. How about Crown Park Hotel? Both Crown Park Hotel is located behind Ibis Ambassador Myeongdong Hotel where the bus stops. The walking distance is about 150 to 200 meters. The airport shuttle stop exactly outside Ibis Ambassador Myeongdong. Royal Hotel is next to Skypark Central. The bus does not stop exactly outside but it is just a short walk. Hi.. Thx for your help. May I know which location is better? Royal hotel or crown park hotel? Thx for your advise. A Friend of mine just recommended me Pacific hotel. I am confused right now. I need easy airport shuttle stop, lots of shopping and even metro.. Many childrens travelling together. That's why a lot of things needed to consider. Is crown park plaza easier or pacific? Hi Chicken Share, I just read your post and I understand that Nine tree hotel & prince hotel is slightly opposite. All alight at Myeondong station shuttle stop rite? If prince hotel and nine tree, which will be nearer to shopping & metro.? How about airport shuttle from Gimpo airport? Is it the same stop? Yes, I would recommend Nine Tree hotel. Lots of shopping and just steps away from metro bus station and 6021 bus stop to/from Gimpo Airport and bus 6015 to/from Incheon Airport. If you cannot get a room at nine tree hotel, prince is fine as well but you have to cross the main road using traffic light zebra cross after getting off the bus. I am staying at Ramada Hotel and Suited near Seoul Station. Would this be the bus to reach this hotel from Gimpo airport? What stop would be best to get off? Is this the best way into Seoul? We have lots of luggage and a baby. Thank you! You can get off bus 6021 at Seoul Station bus stop and then walk to Ramada Hotel and Suites. It is located just about 150 meters away from the bus stop. if i stay at K Grand Hostel, how to go Gimpo airport by then? You can also take bus 6021 from Gimpo Airport and get off at Myeongdong Station bus stop to go to K Grand Hostel. Hi! I'm staying at Royal Seoul Hotel near the cathedral, will be taking bus 6021 to Gimpo airport, may i know which stop would be closest for us? Thanks in advance! You can take bus 6021 to Gimpo at the Royal Hotel (Euljiro 1-ga) bus stop at the main road outside the hotel. The hotel staffwill be tell you where if you are not sure. Hi, may I know the route from Toyoko Inn Dongdaemun to Gimpo airport? Also is Namdaemun market the second stop if I am taking bus 6021 from Gimpo Airport? Thanks in advance. You may take bus 6021 at Toyoko Inn Hotel bus stop to Gimpo Airport (same as arrival bus stop). If you are taking bus 6021 from Gimpo Airport, Namdaemun market will be about the 8th bus stop from airport. Yes, you can take 6021 from Gimpo Airport and get off at Namdaemun Station bus stop for Hill House Hotel. The walking time from the bus stop to hotel is about 15 to 20 minutes. Namdaemun station is which stop as your following stations around myeongdong upside there? Hotel PJ (chungmuro) bus stop? Or the toegyero 3 Hanok village ( mark hotel T) bus stop? Namdaemun Market station is the next bus stop after Seoul Station for bus 6021 from Gimpo Airport. I will stay in Travelers A - jung-Gu area , Is myeong dong station nearby ? 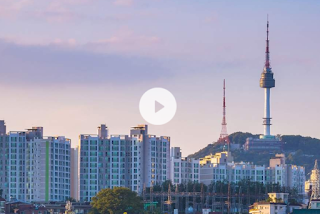 If you are staying at Travelers A, the hotel is nearer to "BestWestern Gukdo Hotels (Euljiro 4-ga)" bus stop for bus 6021 from Gimpo Airport to Myeongdong. Hi there, I am travelling from Jeju to Gimpo. I am staying in Lotte Hotel L7 Myeongdong. Is bus #6021 still valid for me? I checked the hotel website, it says for me to take #6001 from Gimpo, so now I am confused. Please advise. Thank you so much! Yes, bus 6021 can bring you to L7 Myeongdong by Lotte. Just get off the bus at Myeongdong Station bus stop. What is the waiting time for every bus from Myeongdong to Gimpo airport? Hi, I will be staying at Aloft Seoul Myeongdong (address: 56 Namdaemunro, Jung-gu Seoul, 04535) , arriving from Gimpo Airport from a layover in Haneda Airport in Japan. How to I take the airport limousine bus from Gimpo to my hotel and back? Where do I get off? Thanking you in advance for any advise. Can I board 6021 at Namdaemun Market station or Seoul Station to go Gimpo airport? Thanks. Yes, you can board bus 6021 at these two bus stop to go to Gimpo Airport. Hi... u may hv to change some info. Seems like the bus stop no. has change. Thank you for your feedback. Info has been updated! Hi! Your website has been a great help in planning our Seoul trip. We will be staying at Days hotel. Is the bus stop for bus 6021 from Gimpo airport the one near Uniqlo? Or the one near Exit 4 of Myeongdong station? Thank u.
Hi, I will be traveling from Gimpo to 13-4 Namsandong 2(i)-ga 202호, Jung-gu, Seoul 100-042, South Korea. May I know which bus stop to alight? Hi, I be staying at Tmark hotel Myeongdong. May I know where to alight? Appreciated. You can alight at The toegyero 3 Hanok Village (TMark Hotel) bus stop if you take bus 6021 from Gimpo Airport to Myeongdong. Hi, i'm staying at apartment near Myeongdong Station and would like to catch a 7.50am flight from Gimpo airport to Jeju island. May i know what is the mode of transport best for me to arrive at Gimpo airport on time for the flight? The first bus for Bus 6021 from MYeongdong to Gimpo Airport only start at 6:00am and may be a bit late for your flight. A safer option will be to take subway train from Myeongdong Station (LINE 4) to Seoul Station and then take the Airport Railroad train from Seoul Station to Gimpo Airport Station. If you choose to take trains, you can depart as early as 5:00am and arrive at Gimpo Airport in about 35 minutes. Hi, will be staying at Aloft Seoul Myeongdong 56 Namdaemunro, Jung-gu, Seoul, 04535, Korea (South) . Just wondering which bus number and stop do I take from Gimpo Airport with the distance from the stop to Aloft Seoul Myeongdong. Also for return trip which bus number and name of bus stop with the walking distance from hotel to the stop do I get pick up from Aloft Seoul Myeongdong to Incheon Airport. Thanks. Hi, I will be staying at Myeongdong Stay Residence (13-8, Toegye-ro 24gil, Jung-gu). Can I know which stop shall I alight at? Hi, I would like to check which stop should I alight to get to Hotel Skypark 1 at Myeongdong? Is it walking distance to the hotel? Thank you! You can take bus 6021 and alight at Myeongdong Station bus stop and then walk in the slight down hill direction. The hotel is about 200-300 meters from the bus stop. You can refer to the walking direction here. h t t p s : / / www . skyparkhotel . Hello, if I'm from Gimpo Airport and will stay at namsan guesthouse 3, which bus stop should I alight? 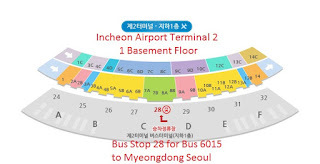 For Namsan Guesthouse 3, you can take bus 6021 and alight at Myeongdong Station bus stop. After get off the bus, cross the main road on traffic light zebra crossing to go to Namsan Guesthouse at the other side of the main road. If you want to any type of limousine you must go with Inkas Limos builder, they are good to their services. Hi there - I will be going to L7 Hotel from Gimpo. What is the best way to get there? Hello, i’m from gimpo airport and will be staying at tmark hotel myeongdong. Which bust stop should i alight? "The toegyero 3 Hanok Village (T Mark Hotel)" bus stop. If i am staying at Myeong dong New Stay Inn hotel, which station do i get off? I will be travelling from Gimpo Domestic airport. If you stay at Myeongdong New Stay Inn Hotel, you can take bus 6021 from Gimpo Airport and alight at "The toegyero 3 Hanok Village (TMark Hotel)" bus stop. This bus stop is one stop after "Hotel PJ(Chungmuro)" bus stop. Hi there. I will stay at daehanjang motel. From the route map, i can fake 6021 bus and stop atvm chungmuro. Is it correct? Yes, you can get of at Chungmuro bus stop and walk to Daehanjang Motel. Hi there. I will arrive at Gimpo airport from Jeju and will be staying at Ttowa House. So, I should take bus 6021 at bustop no 4, and stop at Myeondong station right? Is it far from Myeondong station to Ttowa House? Thank you in advance. Yes, you can stop at Myeongdong Station bus stop and walk to Ttowa House. The distance for walking is about 300 meters. If you are looking for walking direction, you can use google map to to get the direction from EXIT 8 of Myeongdong subway station to Ttowa House.